Located on the campus of Botsford General Hospital (just west of the intersection of Grand River and 8 mile roads). 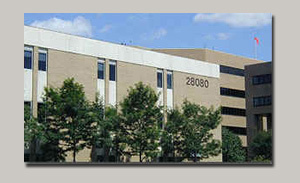 We are in the North Professional Building which is attached to the main hospital on the left (west side). Enter the professional building under the awning, walk straight to the elevator and take it to the third floor. Upon exiting the elevator, walk to the left to the office. MARK A. RASAK D.O., F.A.C.C., F.A.C.O.I., F.S.C.A.I.